Apple has announced its “strongest iPad launch yet” with the sale of more than three million new iPad’s in under four days. In comparison, the original iPad took 28 days to sell the first million units, and the launch of the iPad 2 was severely was hampered by low availability. “The new iPad is a blockbuster with three million sold?the strongest iPad launch yet,” said Philip Schiller, Apple’s senior vice president of Worldwide Marketing. “Customers are loving the incredible new features of iPad, including the stunning Retina display, and we can’t wait to get it into the hands of even more customers around the world this Friday. 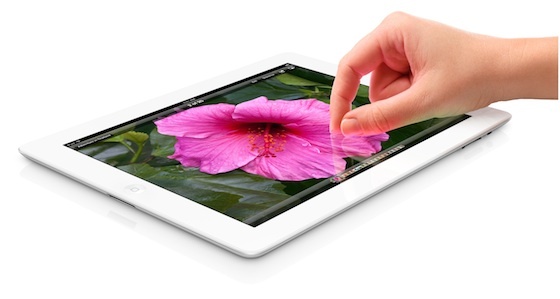 The iPad 3 – or, the “new iPad” – went on sale on March 16, with a strong customer showing at retail stores across each of the the 10 launch countries. All online pre-orders for the iPad 3 sold out prior to March 16th, with wait times for purchase through the Apple Store extending to 2 – 3 weeks.